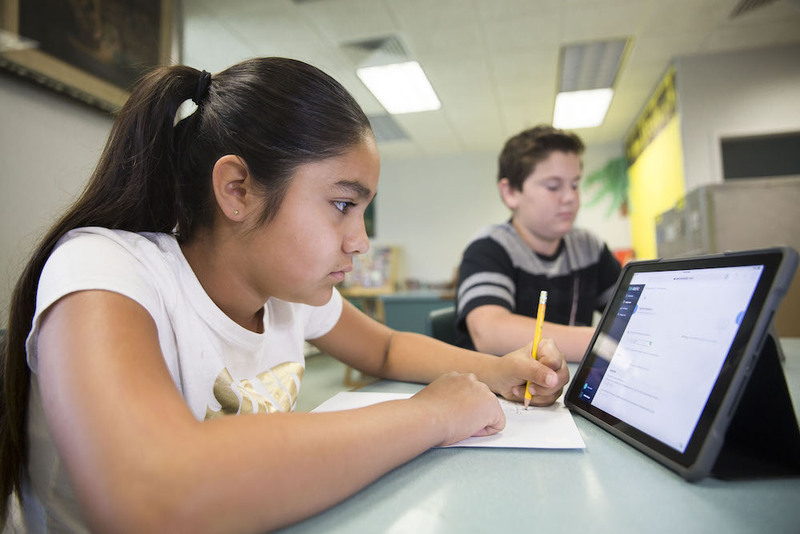 As the state of Ohio was moving to online testing, Northmont City Schools realized it was time for a new solution for digital assessment. Students needed to get comfortable with technology-enhanced items and maneuvering around an online test. Initially, the district was using Study Island, but that wasn’t cutting it. They were looking for new options. After attending a conference in Colorado, one of the teachers discovered Edulastic and shared it at a staff meeting. The platform had what they were looking for: question types like drag and drop and it mirrored the look and feel of the state test. “When we found a platform that mimicked the state we were very excited.” recalls Kristy Geiger, Curriculum Specialist at Northmont. The success of a small pilot in the classroom, led to a district-wide adoption of Edulastic. Northmont had been struggling with keeping track of standards mastery so they were excited finding a tool that would provide that service with ease. “The teachers have a platform that can help keep them on track with the standards. We were trying to move towards curriculum mapping and common assessments. Now we can do that seamlessly without the teachers having extra work.” said Geiger. Northmont City Schools, located near Dayton, Ohio, consists of 8 schools and over 5,000 students. At the district, grades 4th to 12th use Edulastic. Every group of teachers gives digital assessments at least four times a year. Then, there are some groups of teachers that use it for end-of-chapter assessments, and others even more frequently. Some teachers use both questions they create themselves, as well as questions that are already available in the assessment library. “We are able to use released questions on Edulastic from the state of Ohio to help prepare our students,” says 8th Grade Science Teacher, Kristie Eifert. “We intertwine them into our unit assessments so they are getting that practice all year long.” The practice comfort that students gain from using digital assessment on a regular basis helps them be prepared for the annual state testing come spring. In Ohio, students take the Ohio AIR state assessments starting in grade 3 and up until grade 12. Every year students take a math and reading test in the spring. In 5th and 8th grade, students also take a science test. Finally, in high school they take several end-of-course assessments which are mandatory to pass in order to graduate from high school. Being able to track student progress leading up to these online state tests would allow the district to prepare these students as best they can. 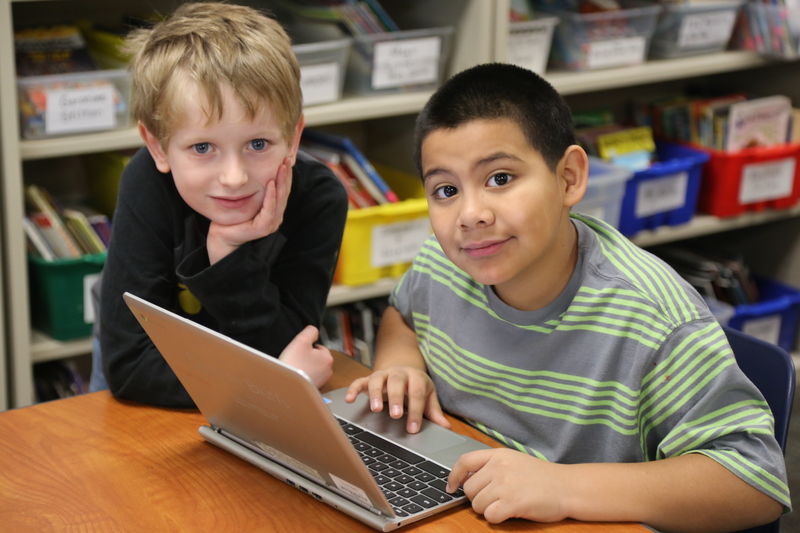 Three years have passed since Northmont first began using Edulastic and the district has benefited in a variety of ways from the edtech tool. First of all, as a district that uses Google Classroom, they enjoy the seamless integration between the platforms. Students can simply log into their Classroom account to access their assessments. The ease of use and instant feedback makes the platform a go-to for exit tickets, entrance tickets, formative assessment, and common assessments. With the data and the immediate reports, teachers are able to initiate and carry out more meaningful conversations than before. In his current role as technology specialist, he’s able to meet with teachers and help them reap the benefits of the instant data and saved time. Moving forward, the district plans to continue to use the data and reports from Edulastic to support and inform student learning. “My goal is to help teachers make use of the reports and use the data to guide instruction,” says Geiger. As an Edulastic Enterprise district, school leaders and teachers have access to a wide variety of instant reports that instantly auto populate as students complete assessments. From standards mastery reports to multiple or single assessment reports, school leaders and teachers can at-a-glance identify what’s working or where more support is needed. On the instructional side, the consensus is that both the student and teachers benefit from the immediate feedback. Misconceptions can be addressed immediately and students don’t need to wait a week, or even a few days to get their results back. While, especially for the less tech-savvy, the assessment set-up can sometimes takes a little time to get comfortable with, auto-grade feature saves them time, and so does the fact that it’s no longer necessary to print out and prepare the assessments on paper. Interested in what Edulastic offers districts? Visit our website to learn more or schedule a demo. Discover more stories from schools and districts.